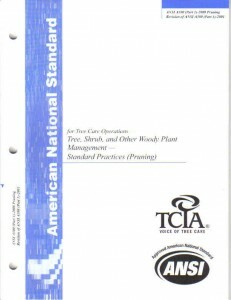 Just as in other industries, the tree care industry has ANSI (American National Standards Institute)standards for all tree care operations, including safety. ANSI A300 Standards are divided into multiple parts, each focusing on a specific aspect of woody plant management (e.g. 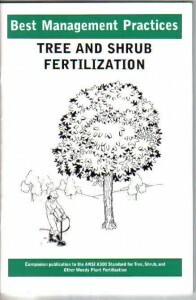 Pruning, Fertilization, etc.) ANSI A300 standards apply to professionals who provide for or supervise the management of trees, shrubs, and other woody landscape plants. ANSI Z133.1 provides safety criteria for arborists and other workers engaged in arboricultural operations. These standard have been developed by the Tree Care Industry Association (TCIA), an ANSI-accredited Standards Developing Organization (SDO). 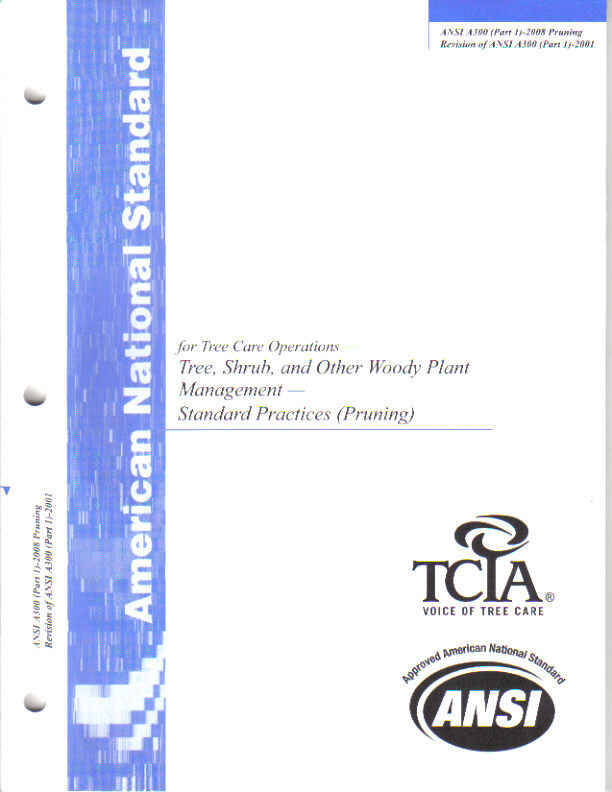 Prior to 1991, various industry associations and practitioners developed their own standards and recommendatioins for tree care practices. Recognizing the need for a standardized, scientific approach, green industry associatioins, goverment agencies and tree care companies agreed to develop consensus for an official American National Standard. The result – ANSI A300 standards – unify and take authoratative precedence over all previously existing tree care industry standards. ANSI requires that approved standards be developed according to accepted principles, and that they be reviewed and, if necessary, revised every five years. Because of the many specialized procedures utilized during arboricultural operations, it must be emphasized that exceptions to provison of these standards may be acceptable and that flexibility and/or a decision as to the applicability of these standards to professional operations may be required. What’s the bottom line regarding what this mean for you as a prospective client? It means that if you are dealing with a company that doesn’t recognize or adhere to ANSI standards then you are not dealing with professionals. The International Society of Arboriculture (ISA) has developed companion publications to aid in the interpretation and implementatioin of ANSI standards. Professionals in the field of arboriculture established a committe to develop standards for tree maintenance designed to provide a more uniform level of service and to help ensure public safety. 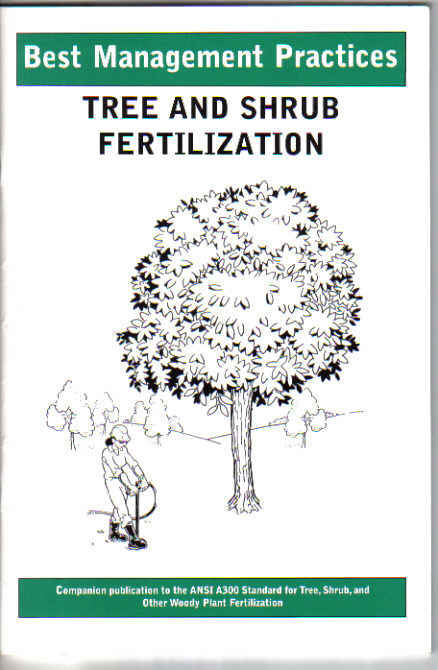 These companion publications are known as Best Management Practices (BMP’s) and are intended as guides for practicing arborists, tree workers, their supervisors, and the people who employ their services. Because trees are unique living organisms, not all practices can be applied to all trees. It is important that departures from the standards are made with careful consideration of the objectives and with supporting rationale, usually from a qualified ISA Certified Arborist. Hiring a Certified Arborist or a company with Certified Arborists on Staff is one step towards selecting a company that will perform the required services properly. These professional arborists have a minimum of three years experience in some aspect of tree care and have passed an exam developed by an international panel of experts. The exam is administered by the ISA and extensively covers every aspect of tree care. Individuals must have an acceptable level of knowledge in all areas of arboriculture. It is important to note however, that this is simply a credential and the ISA is not a regulatory body. It is still possible that some unscrupulous practitioners perform services that they should not perform as an ISA Certified Arborist. It is also vitally important that the company you choose is properly insured with both Worker’s Compensation and General Liability. You should always talk with a contractor’s insurance company before contracting services or have a certificate of insurance for both General Liability AND Worker’s Compensation faxed and mailed directly from the insurance provider. Do not accept a certificate of insurance handed to you at the site as proof of insurance. You have no way of knowing is the coverage is effective. The proper insurance coverage indemnifies you as a client against legal action in the event of an injury or accident on the job site.